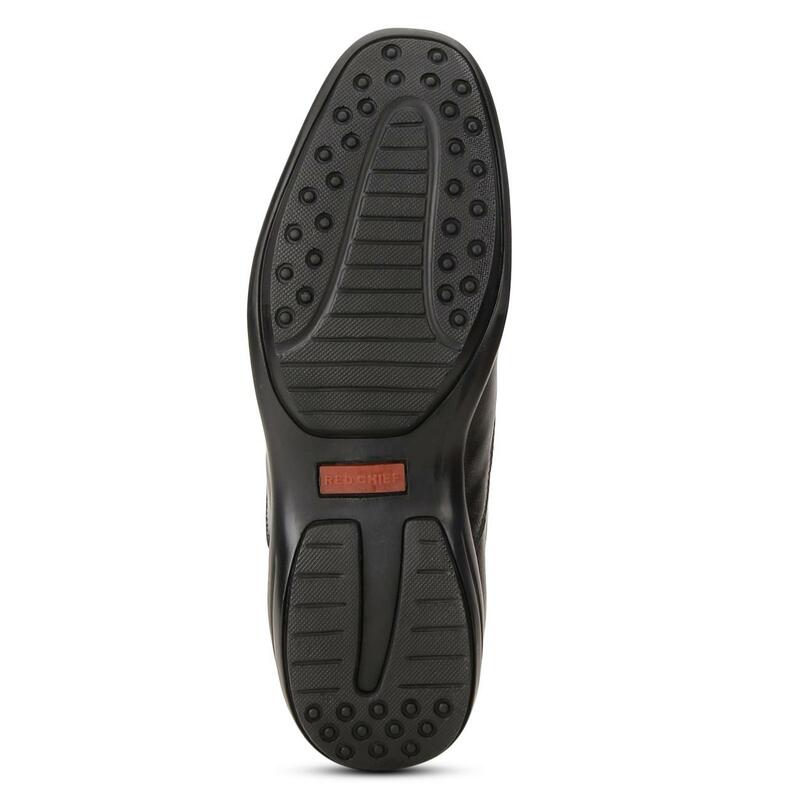 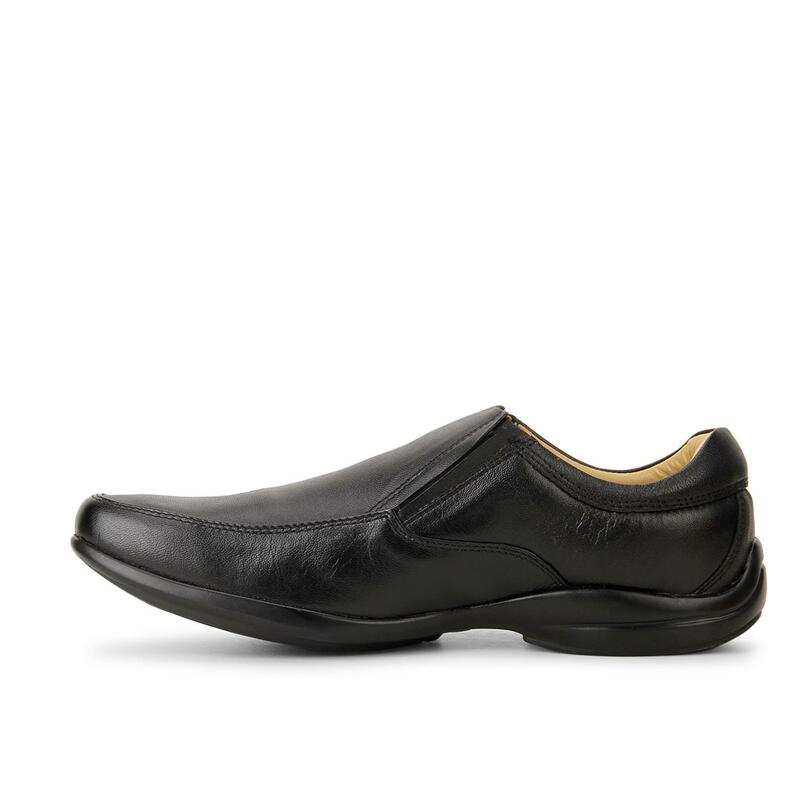 Give an awesome style update to your formal outfit with this pair of black formal shoes from Red Chief. 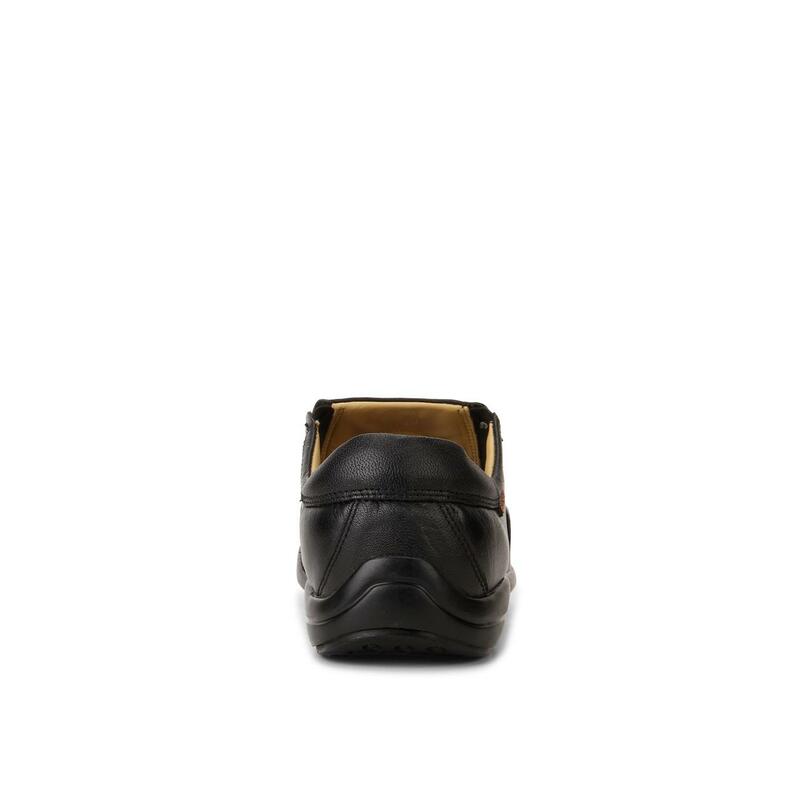 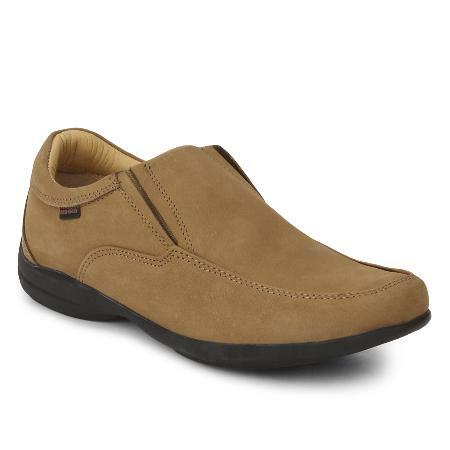 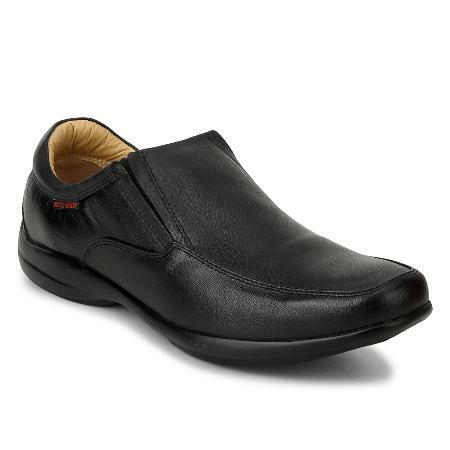 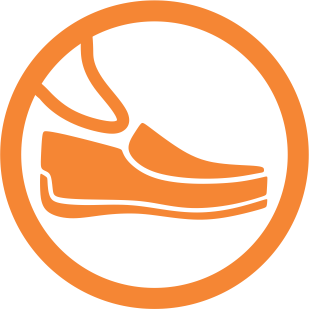 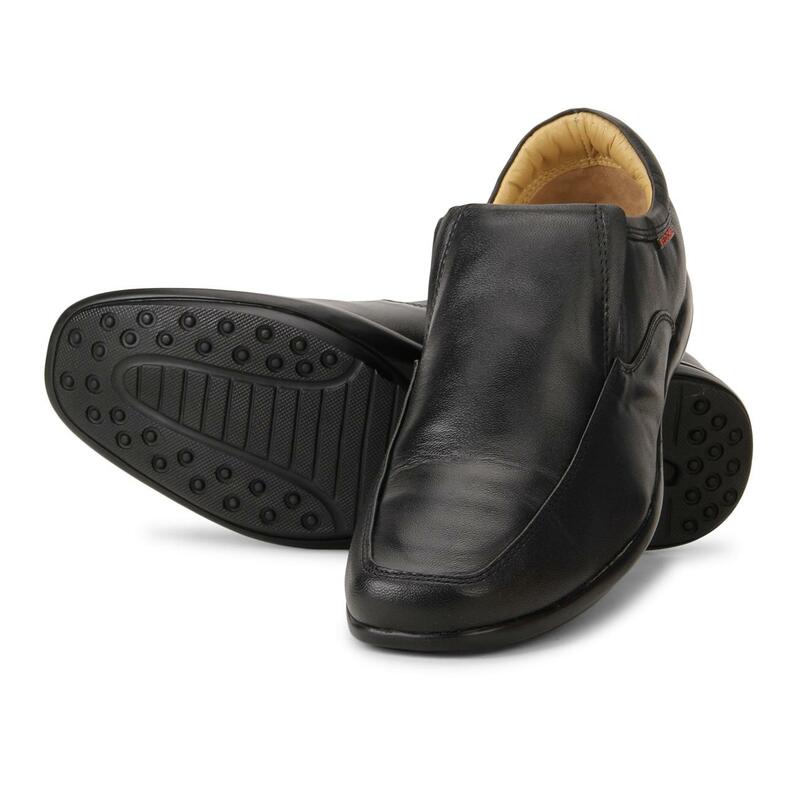 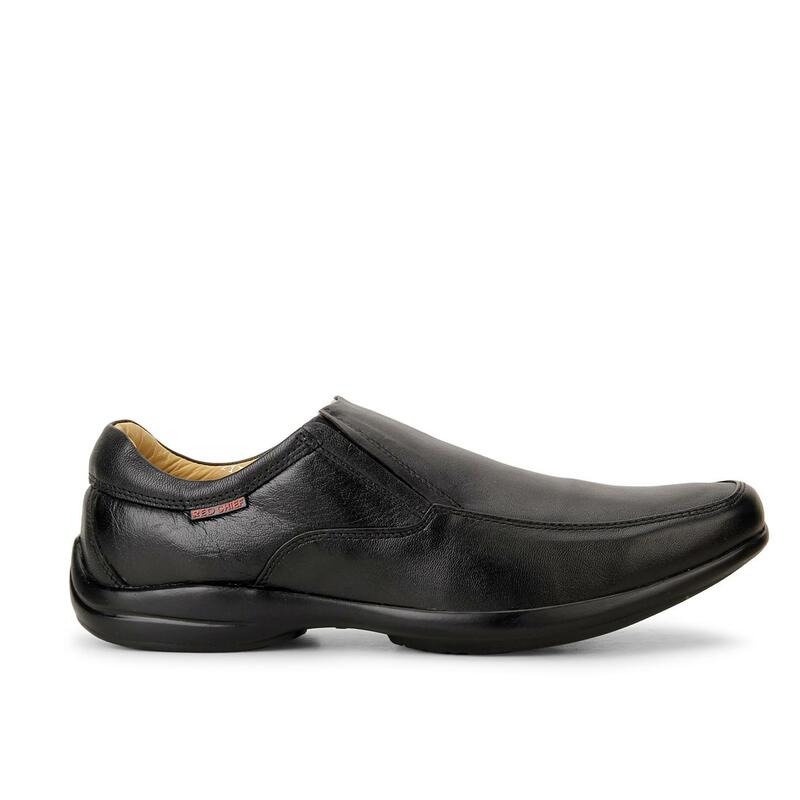 Compact and stitched for a handsome touch of style, this pair of shoes has genuine leather upper and PU sole for high comfort and quality, this pair of slip-ons also ensures a durable, professional look with a supportive grip. 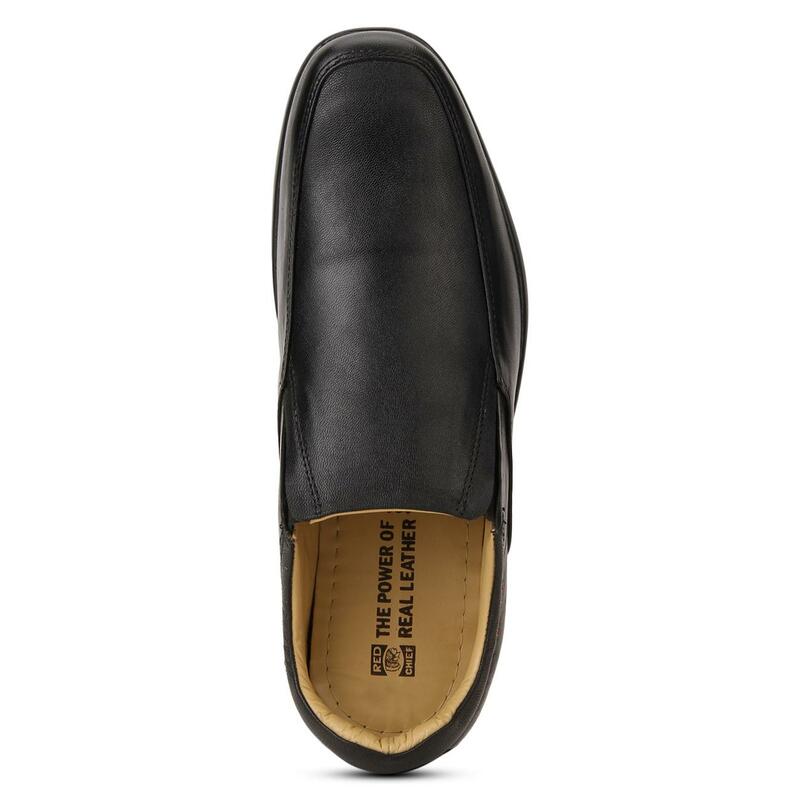 You can match this classic design by Red Chief with a smart suit to complete your dashing look.